God bless Japanese mad men. Some brilliantly barking people from Sony have come up with the HMZ-T1. Or, if you prefer, a Personal 3D Viewer, which could hit the heads of the tech-curious as soon as November. The headset uses uses dual 0.7-inch HD OLED panels with 1280x720 resolution, so you can - according to Sony - have the sensation of watching a film at a 750in theatre screen (only without all those annoying people sat around you). Sony said, "The device adopts the 'Dual Panel 3D Method' which consists of separate panels for the left and right eye in order to display independent HD picture quality to each eye, which realize 3D vision." Just like those ace old Tomytronic 3D games then? 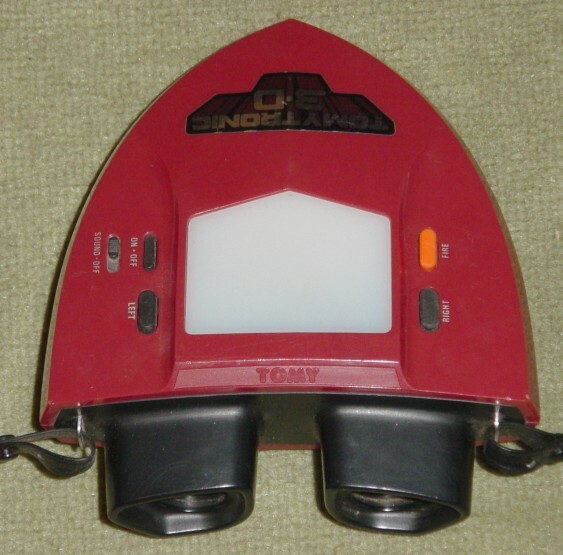 The Personal 3D Viewer sits on your stupid head and blasts 5.1 virtual surround sound in your ears and features a load of buttons so you can do extraordinary things like control the volume and press pause on films. The headset will be available in Japan initially and cost you around 60,000 Yen (£480), according to reports. Why do you need a 45 degree viewing angle if the device sits in front of your face? How come SONY just rehashes old Nintendo technology? It took the perfectly good waggle stick and stuck a silly lit up clown nose on the end. Now it's added Tron styling to the http://www.ohgizmo.com/2010/04/30/so-it-turns-out-the-virtual-boy-wasnt-nintendos-first-foray-into-3d-gaming/ What next a data glove!